My husband grew up on sausage and grits in the morning. While a microwave sausage patty and instant grits will do during the week, this weekend version is a real treat. It’s good home-cooking, perfect for a cozy family weekend, but pretty enough to serve at a brunch. 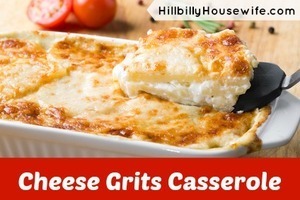 This is also perfect for church or potluck breakfasts and lunches. 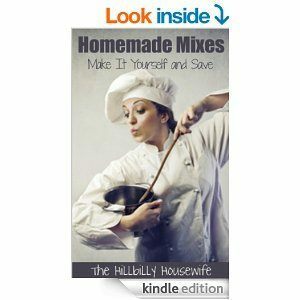 If you’re cooking for a crowd, just double or triple the recipe and assemble in 2 or 3 casserole dishes. In a large skillet, sauté the sausage with onion until all the pink is gone. In a large bowl, beat the eggs and then add the milk, cooked grits, corn muffin mix and herb seasoning. On the bottom of a 9×12 inch pan, spread the sausage mixture. Add the grits and cheese. Sprinkle with paprika. Bake for 1 hour and let stand for 5 minutes before serving. What a perfect way to start your morning. 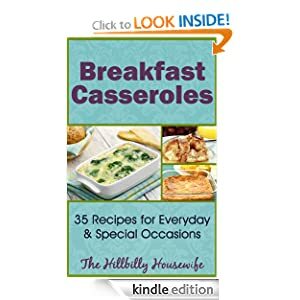 Get Breakfast Casseroles – 35 Recipes for Everyday & Special Occasions today.